First time ever in Barcelona, Professor Gunther Kress, head of the Centre for Multimodal Research at the University of London, kindly accepted the invitation from the Critical Literacy research group at the Universitat Pompeu Fabra to present the seminars “The contemporary social world and an apt theory of communication: Social Semiotics and Multimodality” and “Rethinking politics and representation: from critique to design”. I was pleased to attend the first one and listen to the insights of one the most prominent researchers in Social Semiotics nowadays. Professor Kress spoke to an attentive small group and some of his remarks were as inspiring as provocative. For example, we know social semioticians regard semiotic resources as bearing a motivated relationship between its material (realizational) parts, let’s put it this way, and the meaning they convey. That is simple to understand if we take a song, a peace of poetry, a film or an oral interaction. Kress, however, told us this assumption holds also for very basic resources, like individual words, for instance. This way, Saussure’s arbitrary relationship between signifier/signified is find to be wrong. Every relationship between form and meaning is motivated and influenced by its social cultural context. The fact we can’t trace the history of each word back to the moment when they were baptized doesn’t mean it was an arbitrary relation since the beginning. Kress tries to theorize the semiotic work as any other kind of work. Like any other kind of activity, he thinks, semiotic work produces change; change produces meaning; then semiotic work produces meaning. Kress invited us to think about a person who works in her garden with some tools. As this person works, the worker herself will change (her body is probably to get sweaty) and the garden will change (more flowers planted). We can also expand the metaphor and think she may need new kinds of tools as she finds new needs in the garden and if she is an inventive one, she may try to produce herself a tool to solve “problems” during work. For Kress, there is no difference between semiotic work and any other kind. Then, producing meaning changes both the producer and the world. Kress also told us interest frames the way we represent the world and that representation is always partial. What we do when we put form and meaning together is choosing the best possible representation available of that we wish to represent, but there’s never a perfect match. “We’re always saying things which are just close enough to what we mean”, said Kress. He went even further to say he wouldn’t draw a clear boundary between us (humans) and other mammalians. This idea is surely related to his belief the process of meaning production changes the producer herself. To some extent, we humans think the way we think because of the history of semiotic work we have been engaged in as a race. One question which arose during the seminar was about how to identify modes in a multimodal text: visual? Oral? Are these modes? What are modes? According to Kress, modes are any given resources a given society has available to produce semiotic resources, in other words, the range of signifiers or realizational materials someone can use to convey, add or change meaning. For Kress, intonation and tone of voice are modes, while sound waves are a medium. The consequences of this line of reasoning are that even syntax and lexis can be considered modes, like typography and colour, but also that every single text is multimodal and that there are more evident types of modes, like colour, and less evident types, like syntax. Well, if every representation process is always partial, interpretation is even further from the original meaning of something. It is a real miracle we get to understand each other, isn’t it? Actually, Kress regards reading as making hypothesis. 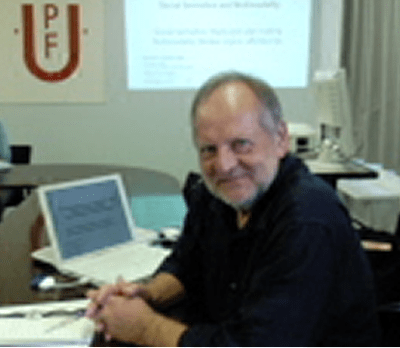 This account you are reading of the time professor Kress dedicated to us in Barcelona is partial, interest driven and may only be close enough to what I meant to say – ¡Imagine to what Kress really told us! But it is definitely an account that above all tries to share the amazement at that we do when we do some semiotic activity and the enthusiasm for researching it. Hope my work changes you as much as it changes me.